"It's not about how many times life trips you up and sends you face first into the dirt. No, life is about getting back up, dusting yourself off, and walking forward. Falling doesn't = defeat, but Rising Again = VICTORY!" Let me be very real and vulnerable with you today. I've been going through some rough times lately. There are feelings and emotions that I have been dealing with from several different directions. For lack of better words, I have been walking through a valley for over a month now. In the 23rd Psalm, David says, "...Though I walk THROUGH the valley of the shadow of death, I will fear no evil; for Thou art with me..."
He doesn't say that God will take him around the valley; beside the valley; above the valley. He says that God will walk with him THROUGH the valley. In the coarse of your life you are going to walk through valleys but the key is knowing who is walking WITH you. When you find yourself walking a trail through a valley that twists and turns around hurts, despair, fear, or self doubt, that is the time to rely on God to navigate you. Trust in Him to be the compass and bring you through. He will give you the strength and direction that you need to come out on the other side! Over the past month I have dealt with a tremendous amount of grief while my mind remembers and processes the illness that my mom suffered and her eventual passing on July 9th, 2010. Everyone has cautioned me that the first anniversary is the hardest. After walking through it, I believe them. but it hasn't crushed me! Not once, not twice, but numerous times over the past month I have stumbled and fallen to the ground emotionally and spiritually. Every single time God has been there to lift me back up! - He has lifted me up to my feet like a loving father lifts His child. - He has held me in His arms when I needed reassurance of who I am and who's I am. - He has spoken peace into the storm that waged against me and reminded me of my purpose and destiny in Him. I thank God for the support of true friends and a caring family who have been there through these last several weeks. I also know that not everyone has that type of support system around them when they are going through a difficult time. If you find yourself in the valley as you read this, know that you are not alone! Your loving Father God is walking with you. His Holy Spirit is your compass, guiding your every step. His Son, the greatest friend we could ever have, is ready to place your arms around His shoulders and carry you when you get too tired to put one foot in front of the other. Even if you have no support system from friends or family, you are not alone in the valley! 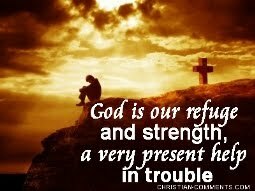 If you have fallen under the weight and pressure of life, turn to God to help you get back up. When you are back on your feet, dust yourself off and keep walking. You have to keep pressing forward to get out of the valley but the reward is waiting on the other side. There will be a day when you will be back on top of the Mountain, standing on the summit, praising God with reckless abandon for leading you through another valley! When that day arrives don't forget who brought you through it! Take that experience and share it with others around you who are walking in a tough spot. That is how God takes the difficult times of your life and turns them into powerful parts of your testimony that helps others who are walking through their own valleys! Thank you for reading and remember that if you are in the valley, I welcome your prayer requests. I am always honored to pray with you. 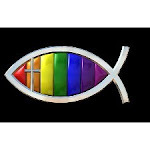 You can e-mail me at MyGayChristianBlog@gmail.com or for prayer requests that you would like to share publicly visit the Sharing Joy and Asking for Prayer Page on the blog.